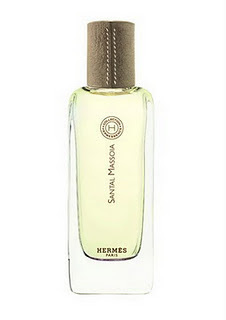 Other recent sandalwood rich fragrances include Tom Ford Santal Blush, Le Labo Santal 33 and Serge Lutens Jeux de Peau. Zazie: Why would natural/organic be groundbreaking? Victoria: Yes, to me, the materials themselves do not make a perfume. Perfume is more than the sum total of its parts. Victoria: >>I am not good with pungent, however mysterious. Victoria: I did not care for Un Jardin Sur Le Toit either, but overall, I have to say that I admire Ellena for having his own view and his distinctive aesthetic. And it is definitely not fair to say that his style bores everyone, because Ellena has plenty of admirers. Every new launch from his elicits lots of interest. The fact that this post is starting to get these kinds of comments only proves that we still have high expectations and we still anticipate the new perfumes from him.